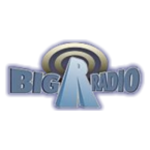 Big R Radio - classic rock: a 70s, 80s, Classic Rock, Rock 'n' Roll radio. Posted in 70s, 80s, Classic Rock, Rock 'n' Roll. Tagged with 70s, 80s, Mix, Pop.